As we age our lips can begin to thin out and wrinkles can begin to form around the corners of our mouths. Lip Enhancement allows you to get more definition into your lips and regain a youthful plumpness which can really enhance your confidence. The lip area is injected with a soft filler in order to provide ‘plumpness’. The whole procedure takes around 20 minutes and can be used to tackle a whole host of different imperfections such as loss of volume, wrinkled lips, and a re-asserting of the cupids bow (the V-Shaped dip on the top lip of the mouth). This relatively simple and non-surgical procedure provides an interesting option for those who require a quick enhancement to their lower face. This is a treatment ideal for those women who have lost plumpness in their lips through ageing or for those women, however young or old, who feel that they need to enhance the natural size and shape of their lips. 1) Shaping- this involves injecting thin linear streaks of soft dermal filler superficially across the ‘vermillion border’ surrounding the lips. This is ideal for those with little shape, fine perioral lines, subtle changes of enhancing mild shape that already exists. 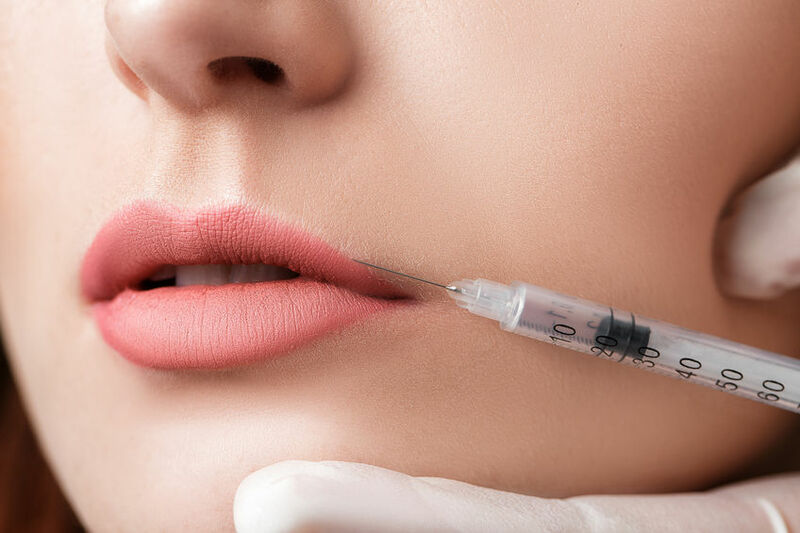 2) Volumisation- this involves injecting deeper into the ‘wet-dry’ border of the lips to add substance to wasted areas, and can even create a ‘soft-pout’ when injected centrally. Volumisation can also be combined with shaping to create shape and volume together. Results are immediate and Lip Filler can typically last 8-12 months depending on the product used and the clients metabolism.